LANESBOROUGH- James A. 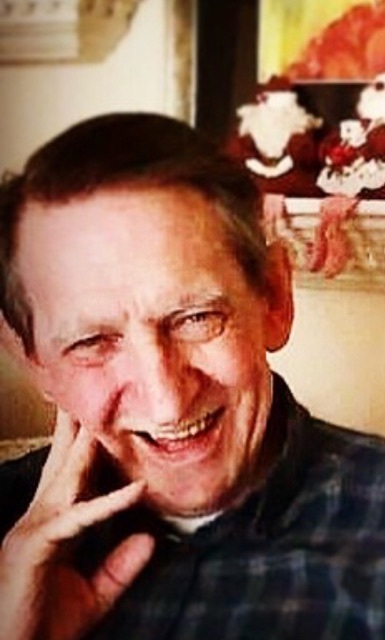 "Jim" Williams, 81, passed away peacefully surrounded by his loving family on Saturday, July 7th. Born in Pittsfield on January 23, 1937, he was the son of the late Francis and Emily Breault Williams. After graduating from St Joseph Catholic Central High School in 1954, he went on to serve in the U.S. Navy. Upon his return home he met and married his wife and best friend of 53 years, Cecelia J. Galvagni Williams, who predeceased him. Jim adored his children and grandchildren, and he was never happier than when everyone spent time together over the holidays. He loved to take in the beautiful Berkshire scenery riding the country roads in his red Thunderbird. Jim was a lifelong employee of The General Electric Company, retiring after thirty-five years of service. He is survived by his three daughters, Tracey (Scott) Camilleri of Clinton, MA, Kimberly (Kevin) Murphy of Waxhaw, NC, and Jennifer (Dan) Supranowicz of Pittsfield, his grandchildren, Jillian (Michael), Taylor (Michael), Ryan, Layne, Allison, Clare, Sadie, Grace, Cecelia, and one great grandson, Sullivan. He also leaves his sisters, Elizabeth Harrington and Jody (Rodger) Beaulieu, his brother-in-law, John Galvagni (Linda), two sisters-in-law, Sandra (Lawrence) Doughty of Dalton and JoAnn (Michael) Murray of Pittsfield, and several nieces and nephews. Besides his wife, Jim was predeceased by his brothers John, Robert, Richard, and Paul. FUNERAL NOTICE: Funeral Service will be held Wednesday, July 11th at 11am at the DEVANNY-CONDRON FUNERAL HOME with burial to follow at Pittsfield Cemetery. Calling hours prior to the service from 10am-11am. In appreciation of the care Jim and his family received, in lieu of flowers, the family requests donations be made in Jim's memory to Hospice Care in The Berkshires via the Devanny-Condron Funeral Home.